For the past two and a half decades, the Reader has covered the Metro visual arts from a unique perspective revealed in this publication’s very title. We wrote about the various arts venues and the artists whose work they exhibited, but we wrote for our readers. Our job, not so simply, was to cover the local contemporary art scene no matter where we found it, from vaunted marble halls to private collections, from non-profits to private galleries, from public spaces to trippy undergrounds and spacey pop-ups. But don’t expect Wikipedia entries on these institutions, large and small. We’re not publicists or archivists. What follows are some of the most important additions and subtractions to the Metro art scene in the past 25 years that changed how contemporary art was created and exhibited and read about. That said, you have to begin this larger story with a look back at the most prominent visual arts centers in the Metro: the Joslyn Art Museum, the Bemis Center for Contemporary Arts and the Kaneko. These are the venues that have shown us what contemporary art looks like past, present and perhaps its future as well. 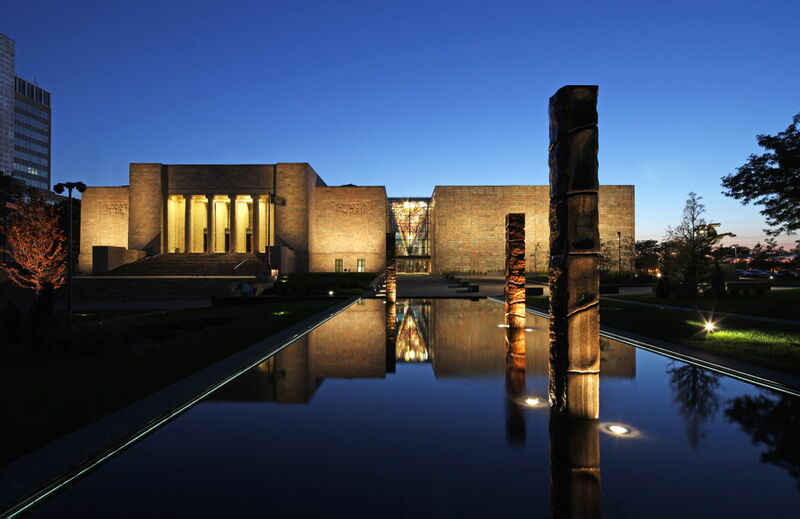 Of the three, the Joslyn Art Museum has always cast the widest net in terms of its mission, its arts-related offerings and its populist appeal. Joslyn especially guaranteed the latter when it initiated free admission in 2013, opening its doors to a larger audience and exposing it to a broader understanding and appreciation of the history of art and its place in our culture. This is even more significant than its last addition, the Foster wing in 1994 that features the museum’s collection and varied exhibition series, some in the realm of popular blockbuster. The newer space does allow Joslyn’s permanent collection to expand offerings, especially contemporary art, which all too often used to be taken down to make way for larger shows. Other development on the plus side: Riley CAP gallery established in 2014 to allow for a small, rangy schedule of solo contemporary artist shows. On the downside, abandonment of a brief contemporary art initiative in the 2000s and the establishment of admission fees for major exhibits. More promising is the recent announcement of a new building program, as well as major gifts from the Schrager Collection and artist Ed Ruscha. Established by artists for artists in 1981, the Bemis Center too has seen many changes in the past 25 years, including its successful rebirth in 2003 under the leadership of Director Mark Masuoka. Since its beginning, Bemis has anchored its international reputation on its residency program, still going strong. While it has also developed varied community and public projects, Bemis has mostly connected with its patrons through its evolving exhibition programs as its full name suggests. Chief within this evolution was the slow emergence of social practice in Bemis’ exhibition schedule in the last two decades, including its current and effective I let them in: Conditioned Hospitality and the Stranger curated by Taraneh Fazeil, curator-in-residence. Under the past curatorial direction of Jeremy Stern, Hesse McGraw, Amanda McDonald Crowley, Alex Priest, Risa Puleo, and more currently Rachel Adams, exhibits began emphasizing new media, particularly video, installations and interactive art with a vision that became less experimental and conceptual, and more didactic. Along with a slow decline in more traditional exhibitions, Bemis has featured shows and installations that, according to Artsy and other sources,“strive to create social or political change through community-based or participatory projects outside of art’s traditional gallery space.” With its emphasis on significant installations, begun particularly under Stern’s and then McGraw’s direction, this medium lends itself conveniently to the goals of social practice. Social practice art is seen by some as the antithesis of the art market because it cannot be owned, preserved, or exhibited easily. Some might also add that with this genre’s greater emphasis on advocacy and its issues and outcomes rather than the “art”, the latter may not be appreciated as easily either. Nevertheless, social practice art is now pervasive in several Metro galleries and persuasive to many of its patrons. It may not be as ambitious as social practice but Kaneko’s multi-disciplinary exhibitions, which opened to the public a decade ago in the Old Market, have been largely successful and well attended. If such exhibits as Reality, Light, Kinetic and the current Human Condition tend to cast a wide net with somewhat ambiguous connections, the accompanying events during each exhibition’s duration are always accommodating. It can be argued the Metro’s largest venues of visual art, the Joslyn, Bemis and Kaneko, have been successful partly because there is very little overlap in their mission and their practice, their brand as it were. Each of course has other commitments that establish its identity, i.e., Bemis’ residency program, Joslyn’s historical and regional objectives and Kaneko’s archival interests in its namesake’s personal and private art collection. Opened in 2012, G1516 is particularly noteworthy for what may be the single most impressive gallery space in the region, its cultural and community building, a partnership with the Museum of Nebraska Art in Kearney, the resurrection of the Nebraska Artist Biennial (formerly the Midwest Biennial) and not least of all, not charging artists a commission for art sold from their exhibitions. And in the bargain, G1516 offers the Metro yet another opportunity to view and appreciate contemporary art, including its current and impressive Nebraska 8 Invitational, which closes April14 to make way for the next NAB, opening May 16. The birth in the last decade of two extraordinary non-profits devoted to art-making as well as viewing, the Union for Contemporary Art and the Omaha Creative Institute (now known as Amplify Arts), gives special benefit to two major facets of the Metro art scene: community-building and involvement through the visual and performance arts, and opportunities to emerging artists to begin and enhance their careers outside the traditional post-secondary process. Along with the above, a shout out to the personal evolution of two bona fide arts mavens: Susan Thomas and Brigitte McQueen Shew. Thomas, who founded OCI in 2008, did not have an arts background, but did have considerable experience in investments, marketing and organization and was just the right force to get OCI off the ground. McQueen Shew too was a force in regenerating the North 24thStreet corridor and neighborhood with the UCA’s new location at 24thand Lake. Curatorial work and community organization were her stock in trade as McQueen’s interest in both evolved quickly from her popular Pulp gallery in Benson to a presence in the Old Market Passageway and then becoming the manager of the Underground at the Bemis Center. But her determination to help revitalize North Omaha with an emphasis on the arts resulted in her ultimate achievement, UCA, which she founded in 2011. Other non-profits that recognize and benefit local artists include: The Nebraska Arts Council opened the Fred Simon Gallery in its HQ at 1004 Farnam in 2005. The Michael Phipps Gallery at the W. Dale Clark downtown library was established in 1997 but really comes into its own this decade under the curatorial guidance of Alex Priest, artist Victoria Hoyt and many more. 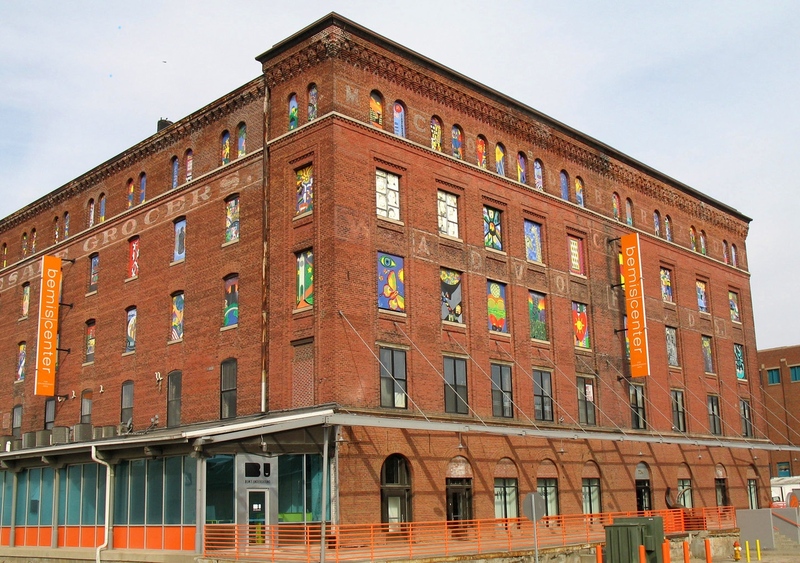 Art centers with an emphasis on ethnicity plus community building are: El Museo Latino, founded in 1993 by Magdalena García, is the first Latino art and history museum and cultural center in the Midwest; Love’s Jazz and Arts Center, born in 2005 at 2510 North 24th Street is devoted to preserve, present and promote African American art. On the academic front, UNO expanded its studio program thanks to a Weber Fine Arts building in 1992. Its gallery continues to do the best it can considering it’s never really had sustainable funding, primarily serving student and faculty needs. Creighton followed with its Lied Performing Arts Center in 1996, including an art gallery; its programming has been variable but interesting on the whole. Lately, Metro has been taking the lead with the development of an arts campus in Elkhorn; not unexpectedly, allied fields of digital and graphic arts help support more traditional studio arts offerings. Still, it must be noted there is no area MFA program on anyone’s radar. Yet local artists have also advanced their cause in a sort of populist movement. 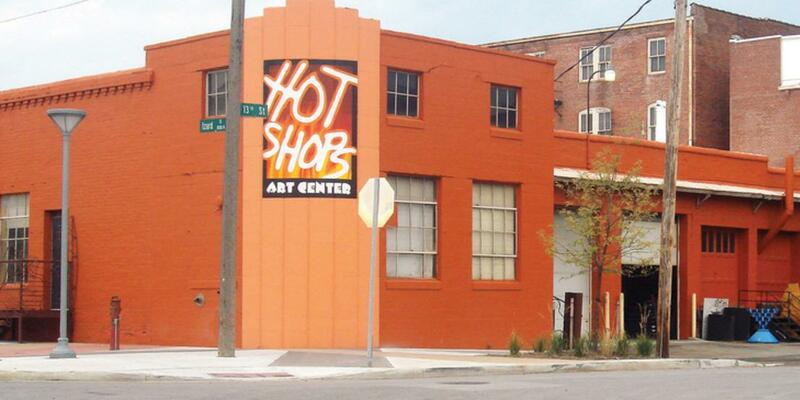 Hot Shops opened in 1999 at 1301 Nicholas St., filling an enormous gap in Omaha by offering artist studio space. 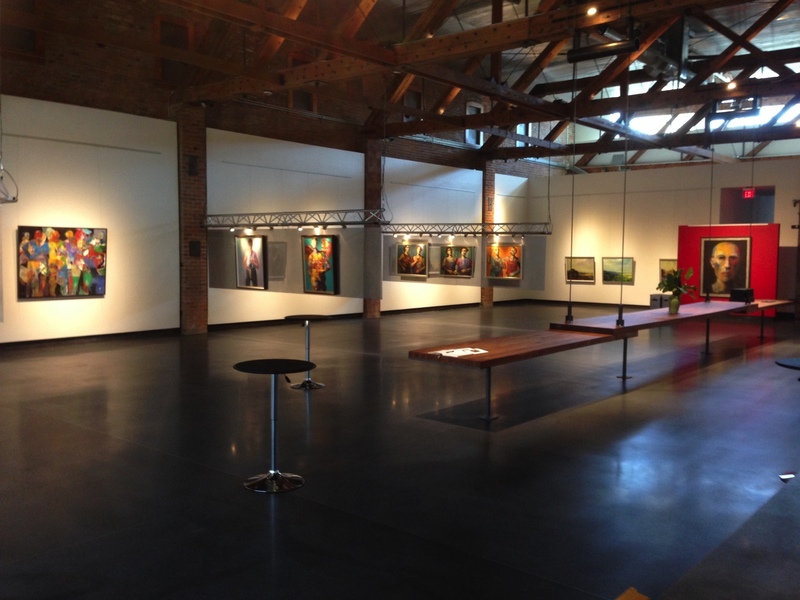 Its exhibition program has been varied in scope over the years, due to the fact that it is offered as a rental opportunity; nonetheless, this huge venue provides a chance to see artists who don’t fit the usual commercial or nonprofit gallery profile. But the most influential trend in the art market in the past two decades with a populist vibe has been Metro’s love affair with alt galleries as well as participation in DIY and pop-up shows. Alternative spaces and shows aren’t new to anyone who grew up in the Old Market in the ’60s, but their 21stcentury resurgence could be traced to the advent of the Bemis Underground and its first show in 2005, Bring Your Barcodes followed by favorites Dream House on Rye and Nuclear Dichotomies. The individual in that alternative space who best carried its vision forward when the U closed was Joel Damon who, with sidekick Josh Powell, created such memorable pop-ups as Unwashed, Destroy Rebuild Repeat and Bear Hug among others. 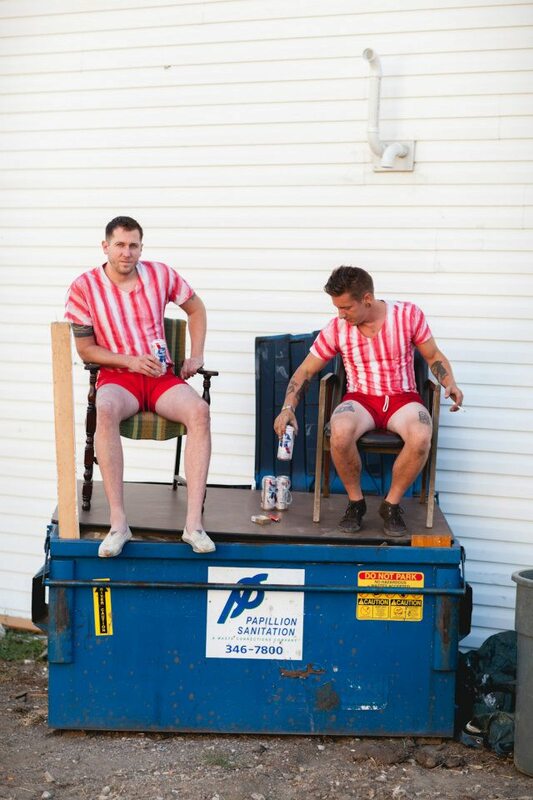 Damon and Powell also went on to form Project Project gallery on Vinton Street that keeps the spirit alive. Another vital local alt scene has been the founding of Benson First Friday in 2012 by artists Alex Jochim and Jamie Danielle Hardy that features monthly exhibits in such galleries as Petshop, The Little Gallery, Maple Street Construct, CHOICE Custom Framing & Gallery, Citylight Arts Project and Warlock Gallery, among others, that fit in nicely with the neighborhood’s growing music and foodie reputation. Traditional galleries, full service or not, have had a tougher grind in the Metro, as they must not only survive but thrive for the sake of their stable of artists as well as larger budgets and overhead. 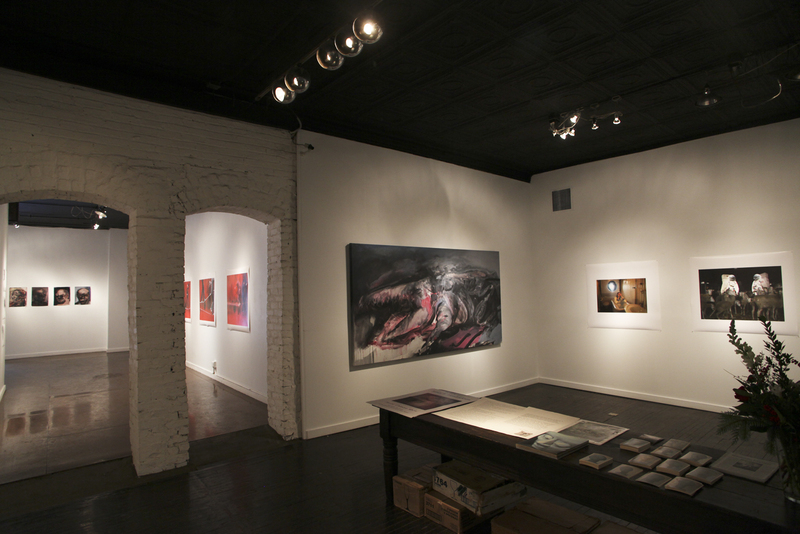 The past 25 years have seen the rise and demise of major galleries such as Fluxion, RNG, Jackson Artworks and The New BLK, all of which had an impact on the local art scene. Meanwhile, Gallery 72 re-opened on Vinton and is now reorganizing, and the venerable Anderson O’Brien, which moved in when Jackson Artworks closed, has re-opened in Midtown Crossing under new management. Connect Gallery opened in midtown and survives Med Center expansion to not only feature its own established artists but to raise the level of Sunday artists — those who toil in home studios without outlets for the presentation of their craft. 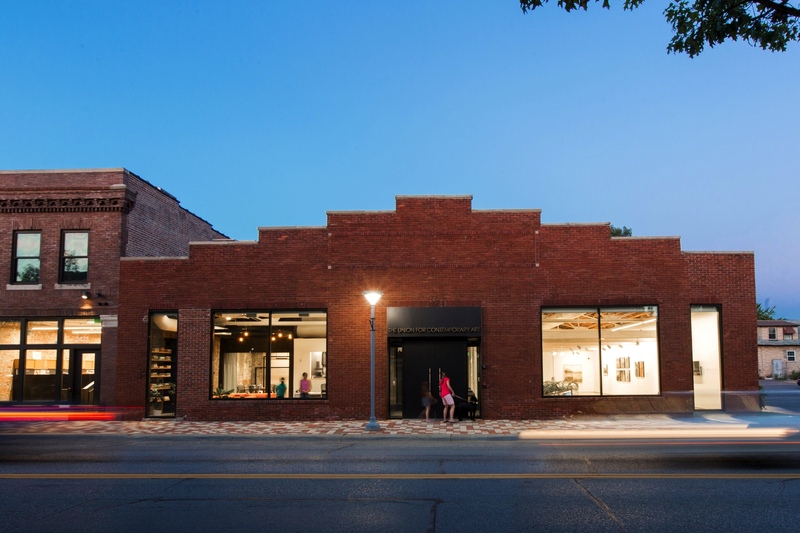 However, the most visible full-service gallery, Modern Arts Midtown, not only survives its move from Lincoln to Omaha in 2011, its own stable includes significant Nebraska artists, many with national and international reputations. But before closing, we would be remiss in not noting the remarkable change that has occurred in the past 25 years on the public art front. Council Bluffs and more specifically the Iowa West Foundation has led the way with its delightful 3D contemporary art contributions, some more controversial than others, created by such notable artists as Jonathan Borofsky, Mark di Suvero, Jun Kaneko, William King and Albert Paley. Omaha can boast of significant work from prominent local artists such as Catherine Ferguson, Littleton Alston, Kenneth Adkins, Les Bruning, Jamie Burmeister, Paul Konchagulian, Ron Parks, John Lajba and many, many more (see a complete list at publicart.org). Perhaps this burg’s greatest contribution has been its public arts projects—think artist Eddith Buis’ J. Doe Omaha —and its growing canvas of mural and street art citywide. Chief among the above are: on a grand scale, the impressive “Fertile Ground” mural by Meg Saligman that adorns the Energy Systems Inc. building on 13th and Webster, but no less impressive are the murals created under the aegis of A Midsummer’s Mural which includes such artists as Richard Harrison, Rebecca Harrison, Mike Giron, Anne Newman, Hugo Zamarano and several others. 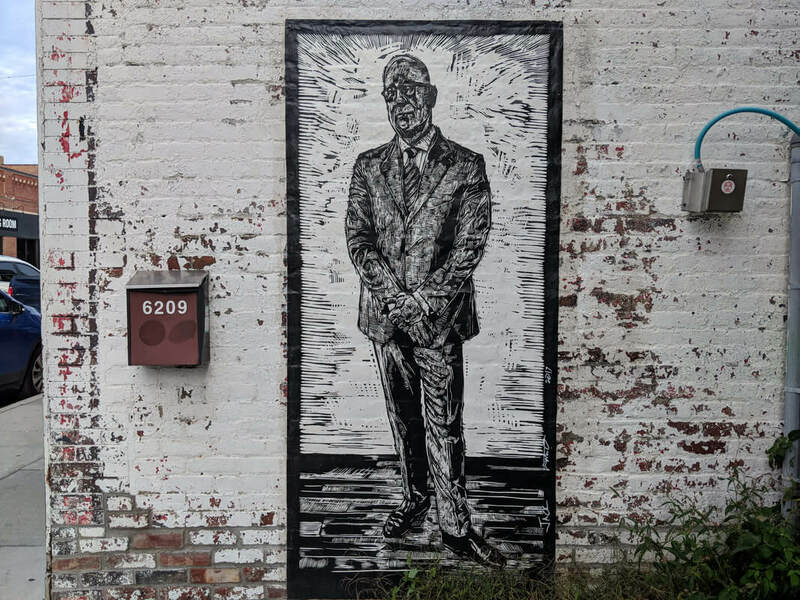 Yet no one in the past 15 years or so has impacted street or alley art on a neighborhood or community basis more than multi-media artist Watie White, both on a permanent or site-specific basis. The Reader has covered extensively White’s community-based projects in North and South Omaha, Benson and Midtown which included 100 People, Benson Mural Project, All that ever was, always is and You Are Here, all devoted to inclusivity and public awareness. Not only is there considerable diversity in the Metro art scene, it faces a myriad of challenges that must be met to achieve sustainability for artists and venues alike. The Reader too has evolved in its efforts to improve its coverage of the visual arts. Though it is now a monthly print publication, coverage has increased on a weekly basis at thereader.com and on social media. No matter how you read us, we will continue to offer the best and broadest previews and reviews of contemporary art seen in the Metro.